Wydad Casablanca of Morocco have won the Confederation of African Football (Caf) Super Cup after beating TP Mazembe of DR Congo 1-nil. Amin Tighazoui scored for the champions Wydad Casablanca. The match took place at Stade Mohamed V in Morocco's largest city, Casablanca. The Super Cup is a competition between the winners of the African Champions League and the second-tier Confederation Cup. It has been a good run for Moroccan football in the last months. 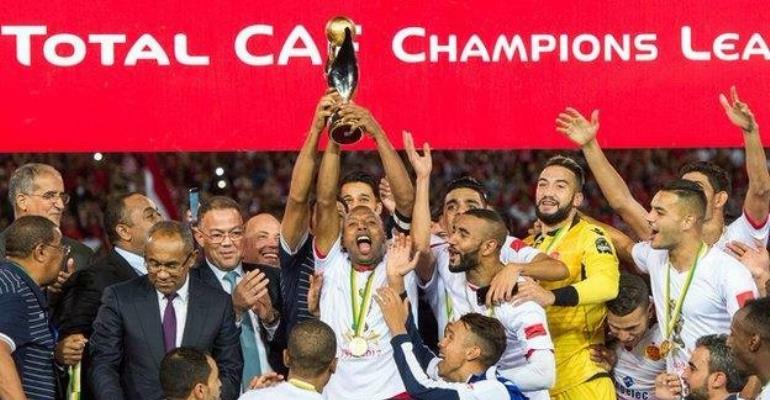 Wydad Casablanca won the Caf Champions League in November, the same month that the national team qualified for the 2018 World Cup in Russia in the summer. Earlier this month Morocco hosted and won the African Nations Championship (CHAN) for home-based players by thrashing Nigeria 4-0 in the final. With the Super Cup trophy, Wydad Casablanca also walks away with $100,000 and get to boast and can claim the title of the top football club on the continent. TP Mazembe of DR Congo pocket $75,000. TP Mazembe are three-time Super Cup winners, while this was Wydad Casablanca's first try.